3203 688 Abbott Street, Vancouver - 1 bed, 1 bath - For Sale | Marie Yngson - Team 3000 Realty Ltd.
RARE opportunity! 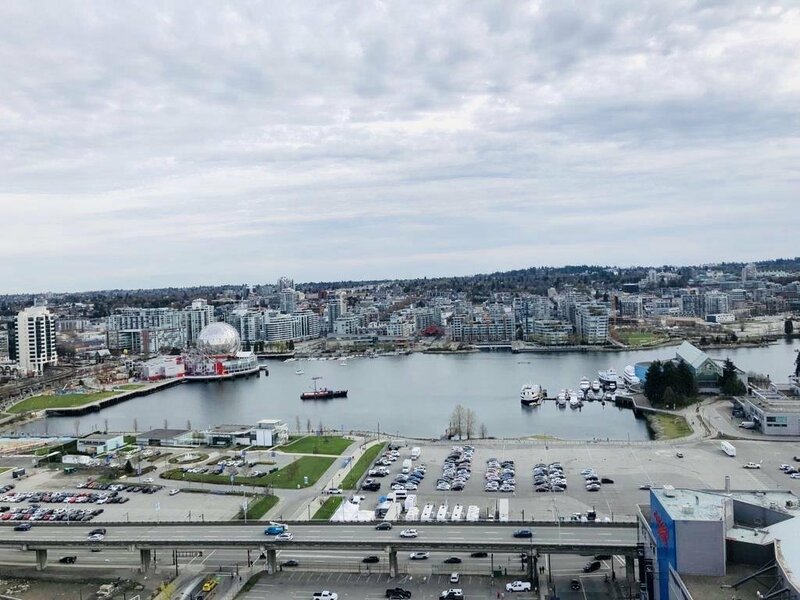 32nd floor unit with great unobstructed false creek water view located in the heart of International Village's Crosstown. This SE exposure 1 bedroom + den home with open balcony is complimented with floor to ceiling windows allowing lots of natural sunlight, open kitchen with breakfast bar, quiet office den, and a fireplace ideal for cozy night. NEW paint, NEW flooring, NEW window blinds. Wide open water view fm living room and bedroom and is sure to impress. Enjoy the recreational facilities including an exercise gym, indoor pool, steam room, hot tub, lounge and media room and professional concierge service! Steps to transit, restaurants, shops + more! 1 Parking and 1 bike locker included. Must View, Act fast!